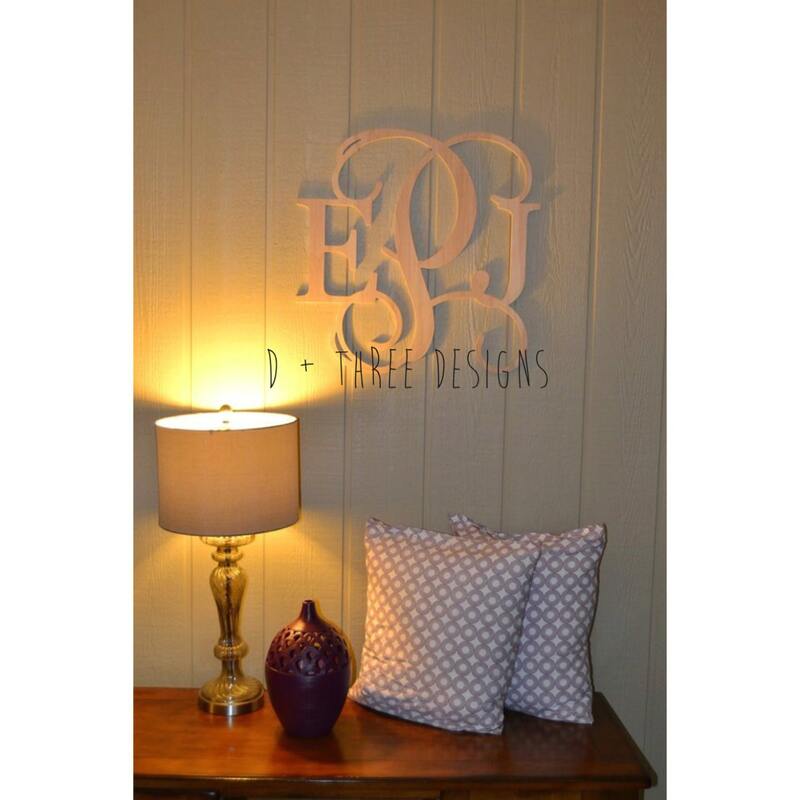 20 Inch Wooden Monogram, Letters, Home Decor, Weddings, Nursery Letters, Ready to be painted! This is a new classy design! 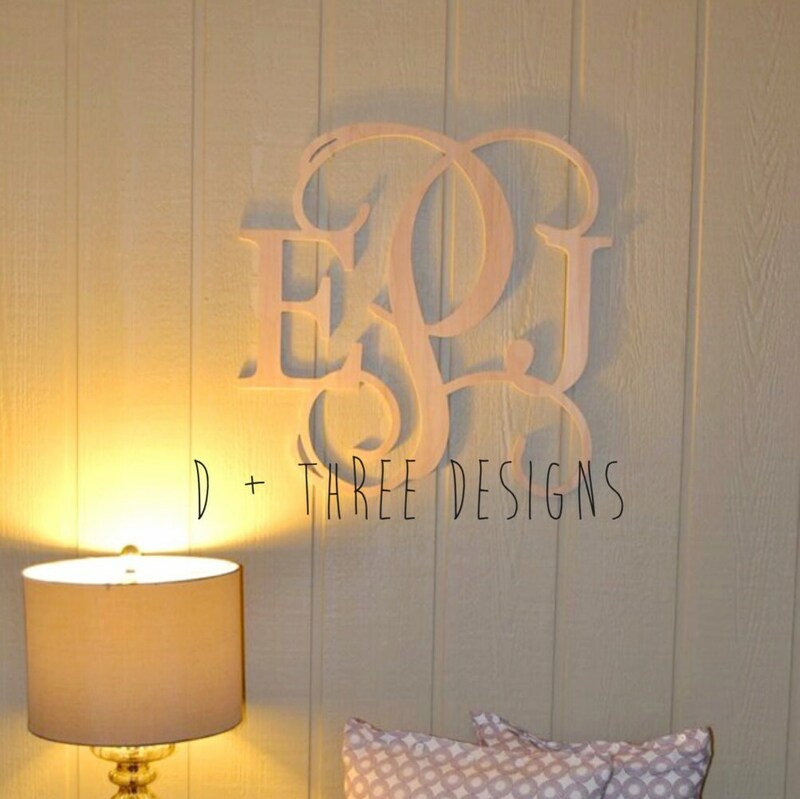 This listing is for a 20 inch three letter monogram. This is one of our new designs that have a vine letter in the middle and then two single regular letters on the sides. Your monograms will be cut from 1/2" Birch wood and comes unfinished/unpainted. 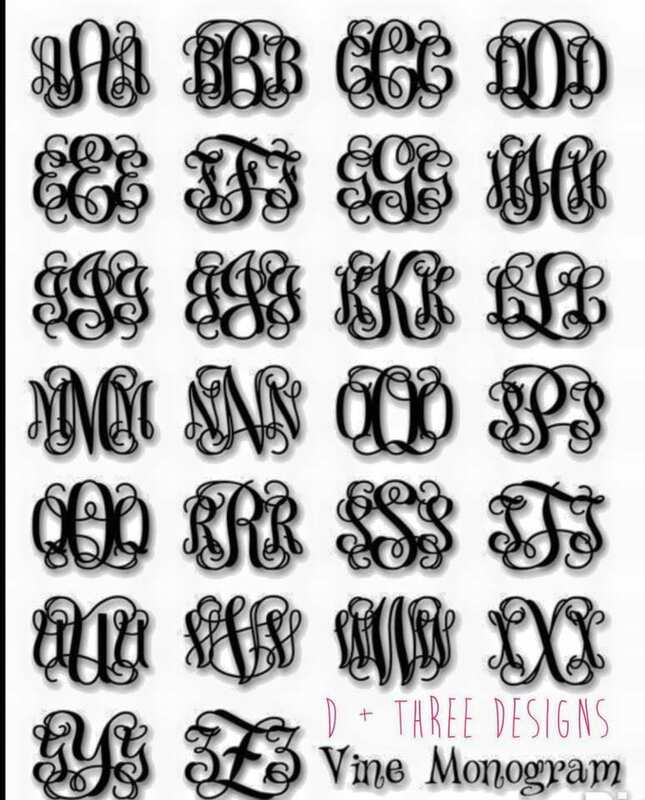 Your monogram will come lightly sanded ready for you to paint. Additional sanding is recommended prior to painting. If your interested in a different size just send us a message!